Action is needed now to ensure our children's future! Each year Americans waste at least 30% of their food budget on spoiled food or leftover waste. We are determined to cut that cost substantially by delivering fresh flash frozen foods that will not spoil or get freezer burn! One of the many benefits to pre-portioned food is the complete elimination of waste. Use what you need when you need it, and help cut down on trips to the store, saving you time and money. 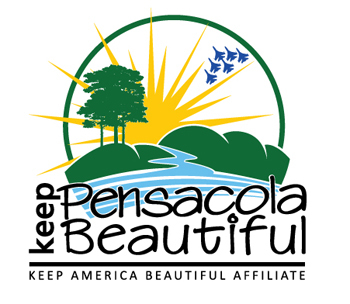 We feel our goals to be environmentally responsible coincide with those of Keep Pensacola Beautiful. Together, we can make our part of the world a more beautiful place for generations to come. Action is needed now to ensure our children's future, and together, we can make a difference. Transparency is our motto, and for each item ordered from Eatwelltoday.com, $10 goes directly to your community and the guardians at Keep Pensacola Beautiful. There is no limit to what we will donate, and to help you out, you can save 15% on all orders, now and in the future! We want a long-term sustainable plan to keep this city the best it can be for years to come. Use offer code KPB (Keep Pensacola Beautiful) at checkout to receive a 15% discount on your entire order! We will do the rest.....Enjoy! START SHOPPING HERE and make sure to use the discount code KPB to receive 15% OFF your order!